Education for gifted students is part of the Curriculum and Instruction department and is funded by the state. The procedures for identifying and placing students in the gifted program are governed by the Georgia Department of Education as indicated by the SBOE Rule 160-4-2-38. Gifted Instruction shall focus on developing cognitive, research, and metacognitive skills. Elementary and middle school students participate in the gifted program for a minimum of 225 minutes per week and are supported by a certified teacher of the gifted. Students in grades one through eight are automatically placed on the Classroom Talent Survey after the completion of the August MAP testing. Classroom teachers will continue to monitor these students for other gifted characteristics. After October 1st, students identified in at least 2 different areas on the talent survey and with a 90th percentile or higher on the reading or math portion of MAP will be referred to the gifted program for further evaluation. Parents will sign a permission form for testing. Evaluation will be completed by the end of the first semester. The same process begins after MAP testing in December for the February evaluation window. A reported referral may be made by teachers, counselors, administrators, parents/guardians, peers, self or others with knowledge of student’s academic abilities for an eligibility review conducted by the local school’s Eligibility Review Team. If a student qualifies for the gifted program, parents will be notified. A qualifying score on a nationally normed test is required to meet the criteria in at least one area. Any data used to establish eligibility in one area shall not be used to establish eligibility in another area. Cognitive Ability Test scores are valid for two years, all other assessment scores are valid for one year. Assessment scores are valid for two years. Private test data may not be used to determine eligibility; it may be used as a referral for further evaluation. Gifted Program Eligibility Report/Satisfactory Gifted Program Continuation Report from the transferring school. National Standardized Required Test Scores — These scores may only be used to determine eligibility for Gifted Program evaluation. The scores may not be used to determine Gifted Program eligibility. Teacher or parent recommendation based on current academic performance evaluated over a sufficient observation period. Students from an out-of-state school, private or home school must complete all tests required by the state and local systems to determine Gifted Program eligibility once enrolled in the Museum School of Avondale Estates. 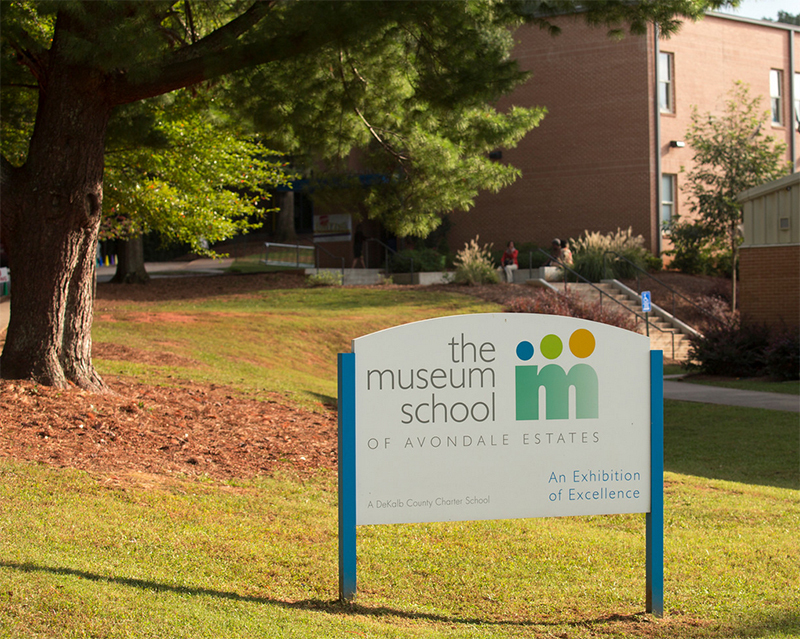 A student already participating in a gifted program in another Georgia school system will be eligible to participate in the Museum School of Avondale Estates’ Program for Gifted upon receipt of a gifted eligibility report confirming gifted services. Using a standards-based report card, the student must meet or exceed standards in all academic areas. At the end of each semester, all grades, with the exception of conduct grades, will be checked. The Measures of Academic Growth (MAP) will be used to determine if the student has maintained a qualifying score in reading or math at the 90%. Therefore, students who qualify in math, should maintain a qualifying math score and those who qualify in reading should maintain a qualifying reading score. The student must demonstrate good standing in the gifted program. Each student will have goals set each semester and must demonstrate success as meets or exceeds in each area. If a student fails to meet the requirements for continuation, the parent will be notified that the student will be placed on probation for one semester. During that initial probationary period, student goals will be identified according to the continuation policy assessment. At the end of the semester, the determination will be made as follows: Student success in attaining identified goals, no further probation. If the student is not successful in attaining goals, probation will continue for an additional semester, with no participation in the gifted program. After two consecutive semesters of probation without success, the student will be removed from the gifted program. To reenter the program, the student would have to be reevaluated through the initial gifted referral process. Parents will sign a continuation policy for each school year. Students who do not qualify for gifted services through the evaluation process, will not be eligible for testing until 2 years after the initial tests.